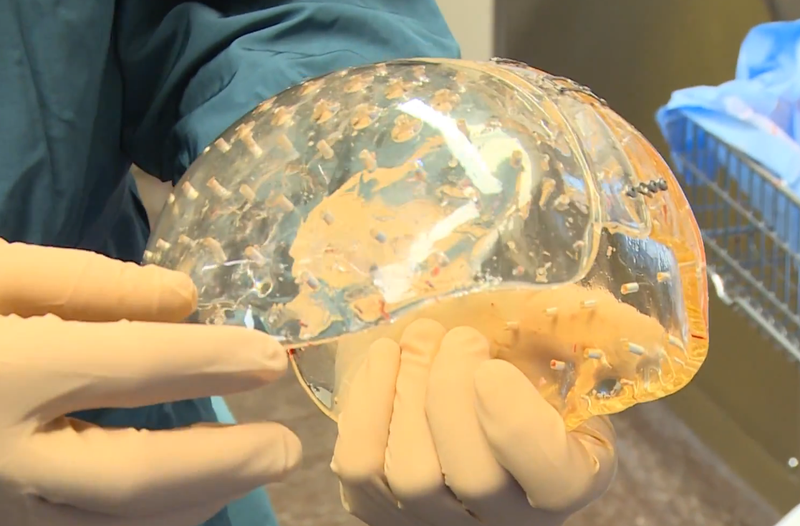 The first 3D printed skull transplant has taken place in the Netherlands — and they've released some of the early footage of the successful surgery. The surgery was performed in the University Medical Center at Utrecht University, after surgeons there began treating a patient with a condition that was causing a thickening of the skull to almost 3 times its normal thickness, putting pressure on the brain. By replacing her skull with a 3D printed one — a process that took over 23 hours of surgery — they were able to alleviate that pressure and, three months after the surgery, the doctors report that the patient has already gone back to work. 3D printing is becoming increasingly more relied on by medicine. A hospital in the UK recently also made use of the technology to do a massive facial reconstruction surgery after a motorcycle accident left a man with traumatic injuries. This recent transplant though is the largest successful transplant of its kind.